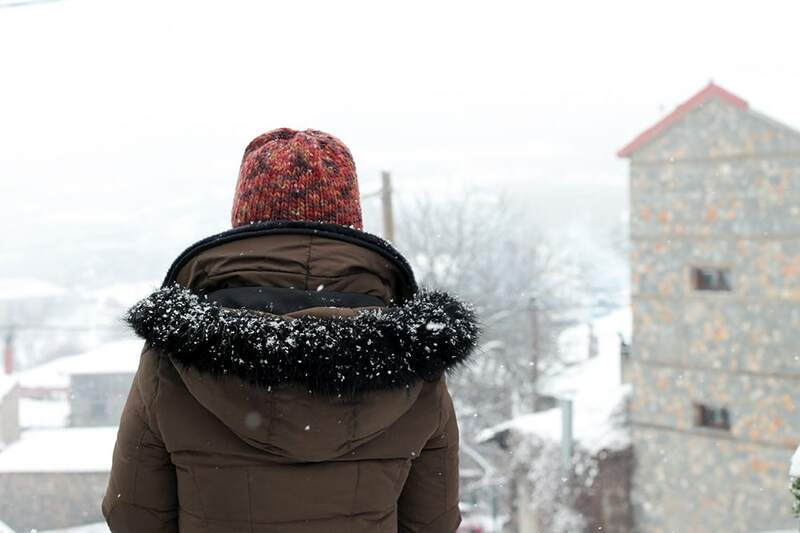 This bulky knit balaclava is an excellent project for anyone who is braving the cold weather and visiting a ski resort! Inspired by the balaclavas seen on the runway this season from Calvin Klein and others, I wanted to make a cozy balaclava. This balaclava is made from a super bulky yarn which will certainly keep you toasty on colder days. 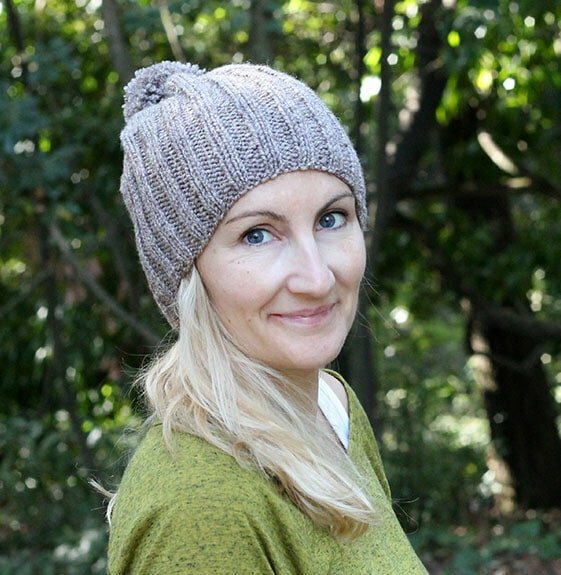 The balaclava pattern is an intermediate skill level pattern, knit with stocking stitch and some ribbing. 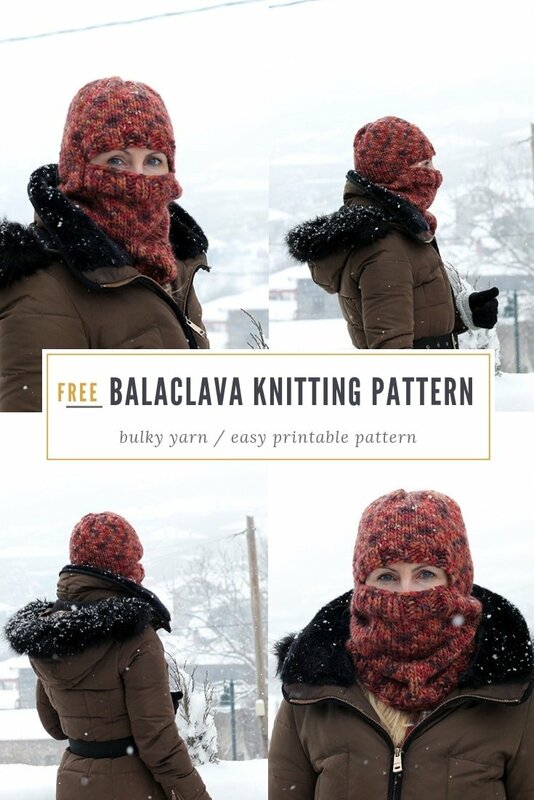 This balaclava would take you around three to four hours to make (depending on how fast you knit!). I made the balaclava ski mask using Drops Eskimo Print in 27 – Rust print and knit on size 8mm (US 11) 16″ circular needles. I knit this balaclava on circular needles, so there was no seaming involved, just a few loose ends to sew in at the end. 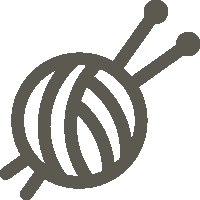 The balaclava uses basic knitting stitches – knit and purl, to create 2×2 ribbing for the neck edge and the face edges of the piece. If you are a beginner looking to move into something more advanced it will also introduce you to shaping through simple decreases for the crown. 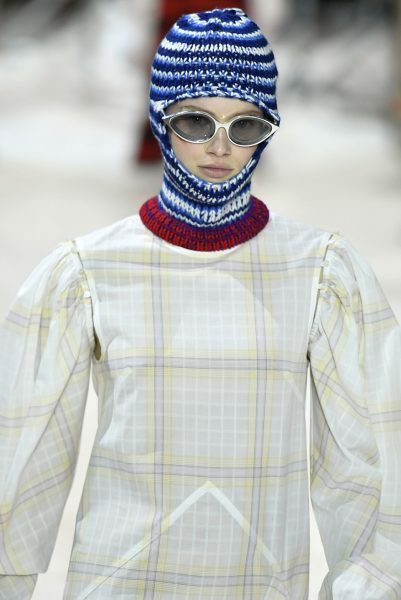 While balaclavas are better known for being necessary for when you go skiing, they saw a trend happening this fall, with many of them appearing on the runway and on celebrities. 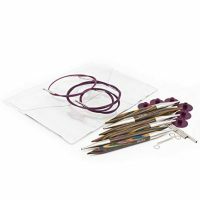 Made in various colours, with poms and tassels, they appeared to be colourful accessories for some of fashions big names. If you are considering the trend, there are no rules, anything goes! 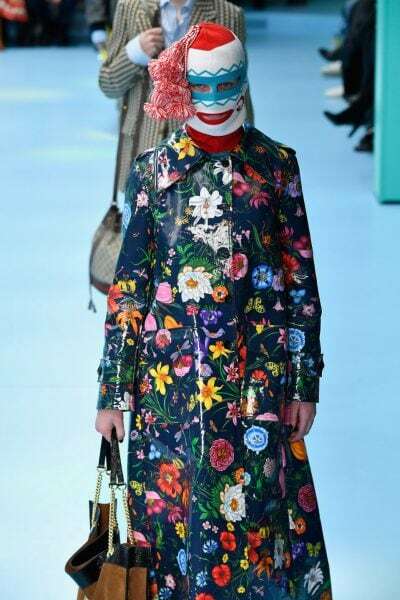 The designer balaclavas are, however, quite steep in price, starting from $290 and up – so making your own seems like a good option. Making a balaclava face mask for the colder weather is not only now stylish but practical too, protecting your face from the elements. Make this ski balaclava with the easy to print out pattern below, then come back and let me know what you think in the comments or leave a review! 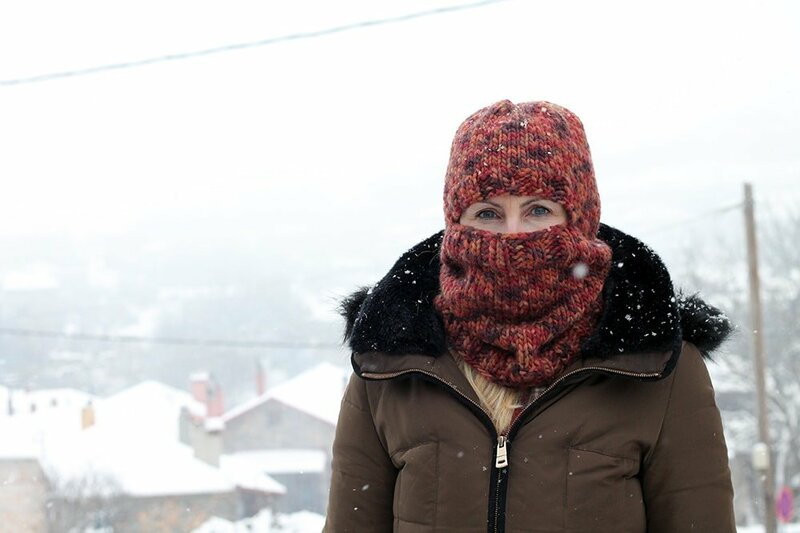 Make a balaclava ski mask perfect for the colder weather! 3 x Drops Eskimo Print - 27 Rust Print. Any bulky yarn (05) or super bulky (06). 8mm (US 11) 16" circular knitting needles. CO 60sts - Join in the round - being careful not to twist, you can pm here at the start of the round. Knit to the end of round. K2, P2 rib each round for 1.5"
Place 2 markers - 1 at the beg of the round and the other after 30sts -on the other side. Cont to K every round until piece measures - 3"
Rep the dec when the piece measures 6"
When piece measures 8" cont as follows - K4, *K2, P2* rib on the next 20sts, K4, K the rem sts in the round. When piece measures 9.5" cast off the 20sts in rib and cast on 20sts over the cast off sts on the next round. K4, *K2, P2* rib on the next 20sts, K4, K the rem sts in the round. When piece measures 1"continue to knit every st in the round. When the piece measures 5.5" dec 1 sts (K2tog) to the right of each marker. Dec 1 sts (K2tog) to the right of each marker. Cut a length of yarn and thread through the rem sts, pull tight and secure. Gauge - 4sts and 4 rows in 1"
Balaclava measures - H - 16.5" / W - 10.5"
If you enjoyed making the balaclava, I’d love to see yours on Instagram, be sure to tag me @handylittleme.